Snoring is the audiable vibration of respiratory structures ( inside oral cavity – soft palate and uvula) due to obstructed air movement during breathing while sleeping. Non ablative (non cutting) Er:YAG tightening of uvula, soft palate and surrounding tissues. One 40 minute appointment to start with. After the first appointment, results will be assessed to determine if another treatment is needed. Touch up treatment may be required every six to twelve months. Cost for the initial sessions is 500.00 per treatment. Touch up treatments will be 250.00 per session. A fractionated laser beam is used at minimally invasive settings. 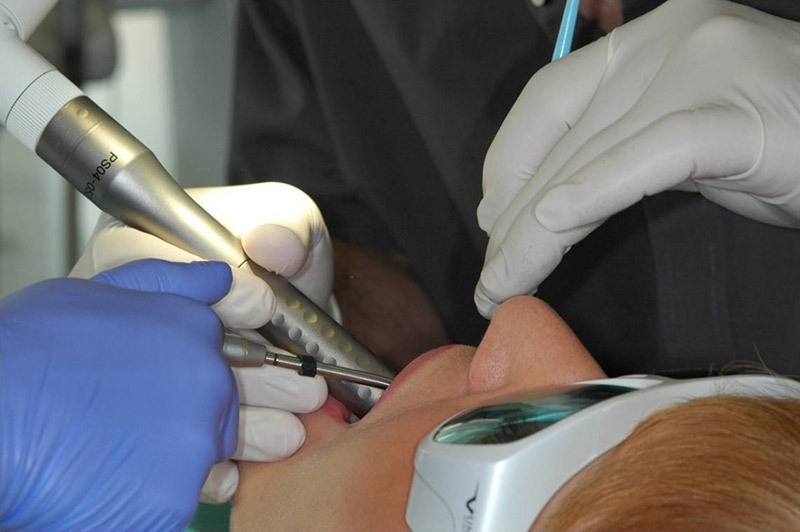 A nonablative ( non cutting) tightening of the anterior pillar, soft palate and uvula with the lower part of the hard palate, posterior pillars and tonsils and lateral and bottom of the tongue is performed. The treated tissue is thermally processed and consequently, stimulates collegen fibers, it shrinks. A stream of cool air will be administered during the procedure. "I never thought snoring would become MY problem, but when my husband started having to sleep in a different room at times, I knew I would have to do something. I became aware of the new laser snoring treatment at Dr. Rickards office and was instantly inquiring. I don't like wearing mouthguards of any kind which was the only solution offered up to this point. I have been for two laser treatments - at first, I was apprehensive - but the treatments are so easy and comfortable!!!! I have one last treatment of 3 to do and already my snoring has reduced and been eliminated on most nights - even when I am my most tired! I am so relieved to be able to create this peace in our bedroom so my husband and I can BOTH rest more easily! It may sound really odd, but I am really looking forward to my final treatment!" "After my first treatment I already noticed I am sleeping better, breathing better and my husband is happy to note my snoring has significantly decreased"